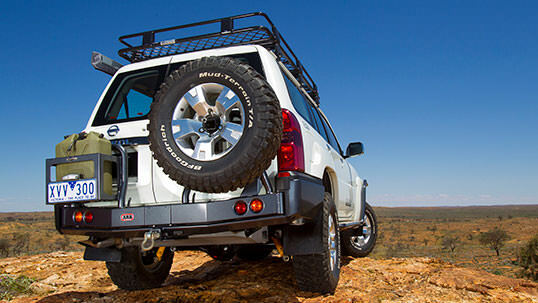 The carriers operate on gas struts that are sufficient to hold each side open in most situations. 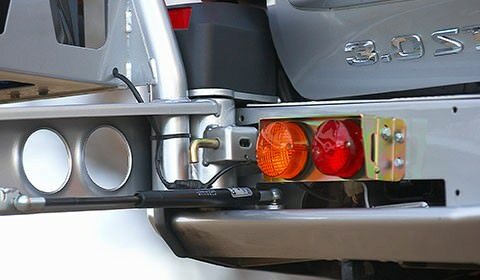 However, if the vehicle is on an extreme side angle, the locking pin can be engaged to ensure each side remains open. 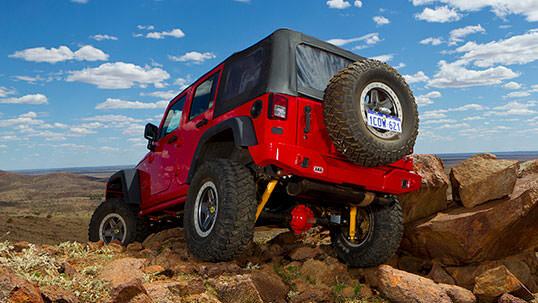 The wheel carrier and jerry can holder is easy to operate, and can be opened by pulling a lever. 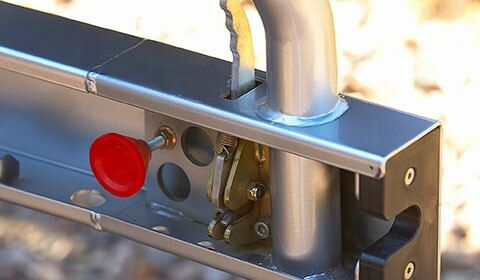 To close, you simply shut it as you would a car door. 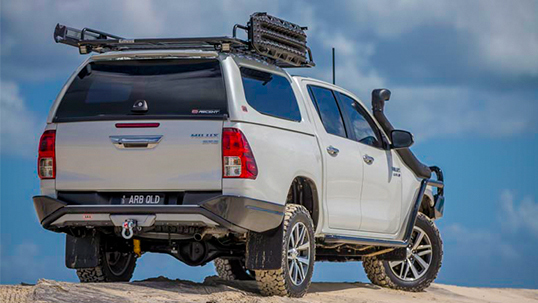 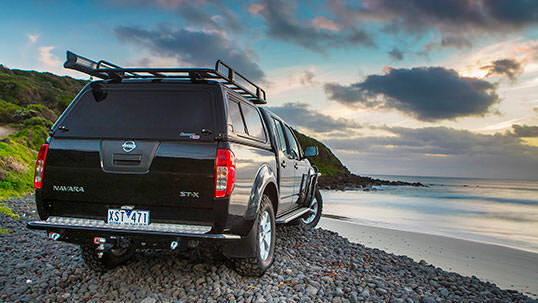 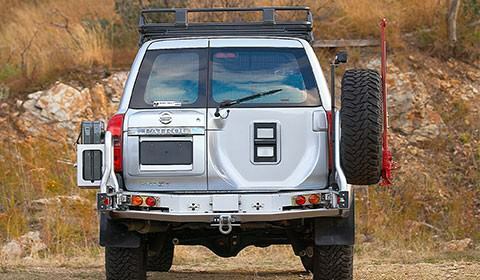 The ARB rear bar system ensures quick, convenient access to the rear of your vehicle.